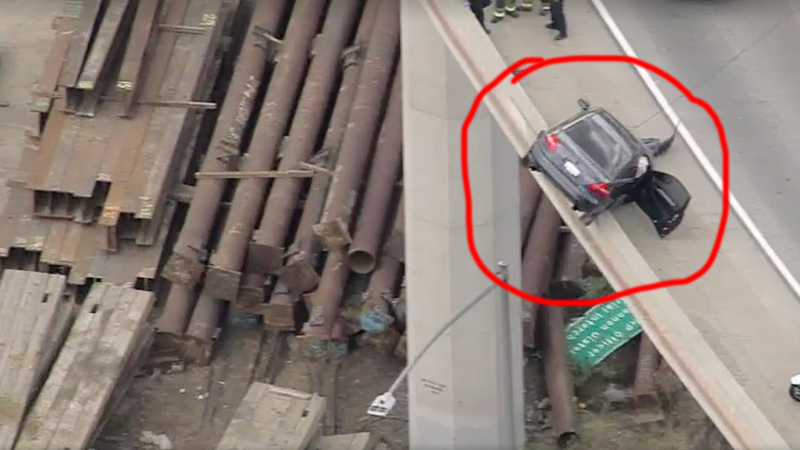 I’m not afraid of heights, but even my knees felt weak when I saw this hapless car that was left teetering on the edge of an overpass in California yesterday morning. Driver Syed Abdullah was headed to school on the 15 Freeway northbound connector to the westbound 91 Freeway in Corona, California, when his Honda started fishtailing and he lost control. 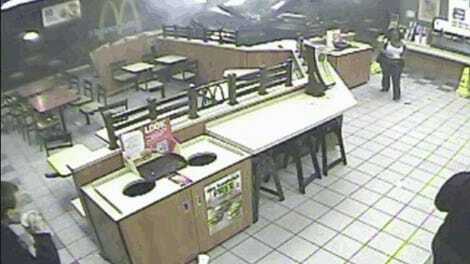 He crashed into the wall and the back end of the vehicle hopped up onto it, reports NBC Los Angeles. 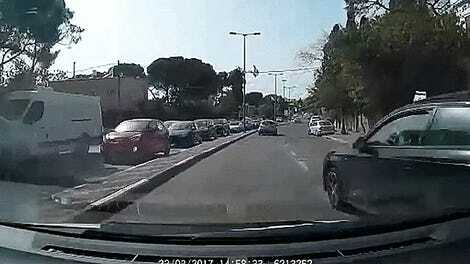 Two other people ran over to his car and managed to pull him out through the passenger side. Abdullah said that he was lucky to be alive. Traffic was stopped to prevent the car falling on people below. Responding California Highway Patrol officers kept a hold on the car with a tow truck and a chain to keep it from falling before it was safely taken away.